BWF World Championships 2018: Can HS Prannoy overcome the Shi Yuqi barrier and get a medal? HS Prannoy loves being the underdog. A look at his performances this year makes it crystal clear that the Kerala shuttler thrives when the spotlight is away from him. 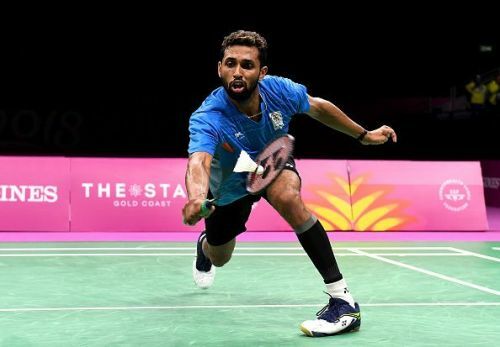 At the All England Open, the Badminton Asia Championships and at the Indonesia Open, Prannoy was in the shadows of his compatriot, Kidambi Srikanth. That gave him the breathing space to concentrate on his game, unlike the Commonwealth Games, where he succumbed to pressure in the bronze medal play-off, with the burden of expectations on his shoulders. He won his first medal from the Asian Championships by reaching the semi-finals, while in the other two Super 1000 tournaments, he made it to the quarter-finals. He turned out to be the best performing Indian men’s singles player in all three of these tournaments. That is why, the premier World Championships presents the Pullela Gopichand protégé with a golden opportunity to quietly make his way through the draw while the India No. 1 Srikanth gets the lion’s share of attention. The only factor that could be a deterrent for the 26-year-old is his fitness. It is no secret that the reigning Indian national champion has had his fair share of injuries, that have curbed him from becoming the player he could have been. Prannoy has self-admittedly learned to manage his body and mind better of late and that is getting reflected in his recent few results. An ankle injury has reared its ugly head since the Gold Coast Commonwealth Games outing, where he squandered match points in the bronze medal match to Rajiv Ouseph. Even though he rebounded in scintillating fashion with the bronze at the continental championships, the fitness concern still remains. Prannoy has not managed to be at his 100% fitness since recovering from that injury, even though he did play three tournaments between the Commonwealth Games in April and now. He starts his campaign in Nanjing on Monday against New Zealand’s Indian-origin player, Abhinav Manota. Ranked 109th, the Kiwi shuttler is expected not to give much resistance to the heavily-favoured Indian in this clash. This match would give Prannoy a good chance to take his time and find his feet before the going gets tough from the very next round. Next up for the India No. 2 is the highly experienced Wong Wing ki Vincent of Hong Kong. Vincent is currently ranked lower than Prannoy at 22nd, but was once perched on the 10th rung in the world rankings. Prannoy has a commanding 4-1 lead over Vincent and has also won their last two meetings. That should give the Indian enough confidence, should they meet. The path obviously gets trickier as Round 3 brings him a possible face-off with the seventh seeded Chou Tien Chen. The Chinese Taipei ace has won two titles this year, which includes the Singapore Open this month. That would have definitely prepared his mindset, heading into a tournament as competitive as the World Championships. He does hold a 3-1 winning head-to-head record over the Indian, but it is to be noted that Prannoy got the better of him in their most recent and only 2018 encounter that happened at the All England Open. After being outplayed by the seeded player in the first game, Prannoy came back roaring and notched up an unbelievable three-game win over Chou Tien Chen. A couple of early wins at the World Championships could thus give Prannoy the conviction that he needs to overcome somebody as feisty as Chou. Things get interesting from the quarter-finals as the third seed and All England Open titlist Shi Yuqi waits. The Chinese has been a thorn for the India No. 2 shuttler as he has triumphed in their last three meetings, winning all of them in straight games. Prannoy did account for him only once, two years ago, when Shi Yuqi lacked in consistency. The Chinese has developed into a well-rounded player now and presents a stiff challenge to the Indian. This will be Prannoy’s biggest test, if he can surmount the first three hurdles. Should he manage to push past Shi Yuqi, a glittering medal beckons. It remains to be seen if that can inspire him to cause a colossal upset and make quite a statement at the World Championships.